Some features on this website may not be viewable as your browser is out of date and no longer supported. Please consider an upgrade to a modern browser to enjoy all parts of this website. Negatively geared properties are going to lose a lot of their appeal when new ring-fencing rules are introduced, writes Aaron Tunstall. Letting fees are the new reality for landlords – how can you manage the impact and what is a property manager doing for the fee? A year of free tertiary education and an extra $50 a week student allowances and loan entitlements: doesn’t sound like something related to the housing market, but all these economic drivers are interconnected. The UK’s government is planning to ban the sale of new leasehold properties. Why are they taking this step and could it happen here? Aaron Tunstall writes. 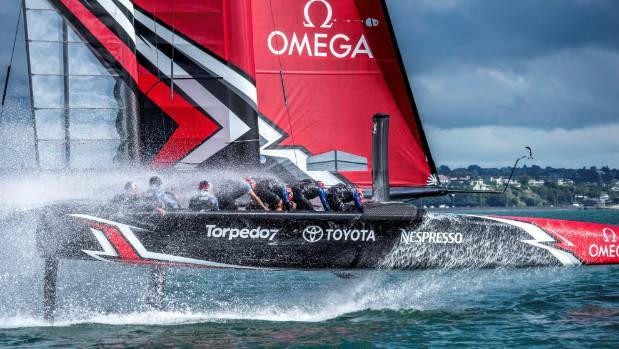 What Will the America's Cup do for Auckland Investors? Despite suffering from a severe case of America’s Cup withdrawal, Aaron Tunstall is already excited about the next one. Aaron Tunstall is the general manager of award-winning Impression Real Estate, which specialises in property management and investment sales and manages over 1,750 Auckland Apartments. If the housing market is all about supply and demand, simply building more dwellings is an easy fix, right? Unfortunately, it’s a bit more complicated than that, writes Aaron Tunstall. Aaron Tunstall forecasts a steady, if unspectacular, year ahead for apartment investor. Apartments make great investments, but don’t expect the banks to share my enthusiasm, Aaron Tunstall writes. Aaron Tunstall is the general manager of award-winning Impression Real Estate, which specialises in property management and sales and manages over 1,500 Auckland apartments. End of a Golden Age? Buying for yield, rather than capital gain, is your winning strategy for long-term apartment investment, says Aaron Tunstall. I love our can-do Kiwi attitude, but when it comes to your investment strategy, it pays to get a professional opinion. The Unitary Plan panel is recommending smaller apartment sizes be allowed in Auckland – a potential opportunity for investors that raises interesting issues. Even if your rental property is snapped up by tenants, you still need to keep on top of maintenance. What could you achieve in 2016? If you continue to ignore your rental apartment and let it grow increasingly shabby, you may find yourself struggling with vacancies. Even industry experts have been surprised by the changing trends in the Auckland apartment market. With so many new apartments being built in the suburbs, Aaron Tunstall weighs up buying in the CBD versus a new satellite location. First-home buyers are choosing apartments at a higher rate than ever, giving them a quality lifestyle at an affordable price. Are you thinking about selling for the wrong reasons? Missing out on market rent? In tougher economic times, a large apartment can be a burden on your portfolio. Aaron Tunstall explains that choosing a property manager is about much more than just cheap fees. The apartment market is all over the place - quiet one moment, frenetic the next. The main difficultly is the lending situation. The banks don't seem to have their stories straight when it comes to who can borrow and how much. Who's responsible for the lending restrictions on apartments? Not the LVR restrictions; we all know that was the Reserve Bank. But the idea that an apartment of 40m2 is worth lending on, but not one of 39m2 - whose bright idea was that? Leaky buildings are an apartment owner’s worst nightmare, but some brave buyers are taking the risk. What I am noticing is that large numbers of investors who purchased pre 2008 are now selling their investments. Why can't I use my own valuer anymore...?